I can’t remember the last time I felt this bad about an English side thrashing another team. England cantered to a very large victory in Paris yesterday against a very lacklustre French outfit that for the first half at least looked like they couldn’t be bothered. Although England will no doubt give all that talk about ‘beating what’s put in front of you’ and will no doubt be pleased with the result, it was a match that gave us no real indication as to how good this England side really is, because the home side were so bad. From the moment Ryan Atkins went over for England’s first try in the seventh minute, this game was over. England continued scoring at slightly over a point a minute for the rest of the first half, and even though they did it with some nice long range efforts, it should be pointed out that France seemed to offer minimal resistance. Their defensive structures were absolutely appalling and left far too much space on the fringes for English players to run into untouched. On the odd occasion that they actually managed to get to a player like Gareth Hock, they were still usually powerless to stop the offload. France were missing some of their front-line forward pack (Fakir, Elima etc.) but the guys who replaced them offered no fight down the middle. France were barely able to get out of their own half. It was not a good start for Bobby Goulding. I know he wants to avoid using French-based Australians, but if Clint Greenshields makes himself available for the 4 Nations, is Goulding really in a position to turn him down? As for England, I’m not sure how much we learned apart from the fact that they can thrash a poor French side. Nobody looked out of place and I was glad to see Ryan Hall go well on debut because the wing is a position where England really need players to step up a level or two. It has to be said that the pack completely dominated the French and seemed to make twice as much ground per set as their cross-channel counterparts. Of course, whether they could do such a thing against the Kiwis or Kangaroos remains to be seen, and I would be skeptical about that happening. I know I’m way late on this (work is such a hassle sometimes) but you can’t really avoid commenting on this. 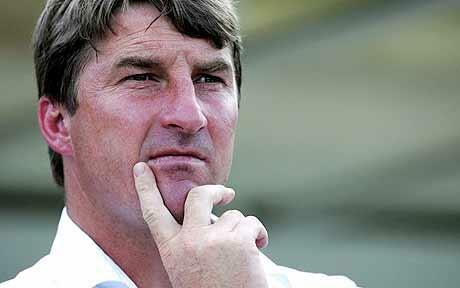 Tony Smith, England Coach, has been appointed as Warrington’s Head of Coaching and Performance. James Lowes is staying on as 1st Team Coach. In doing this, Smith now has had to step down as Technical Director of the RFL, although he is remaining on as England Coach in a part-time capacity. 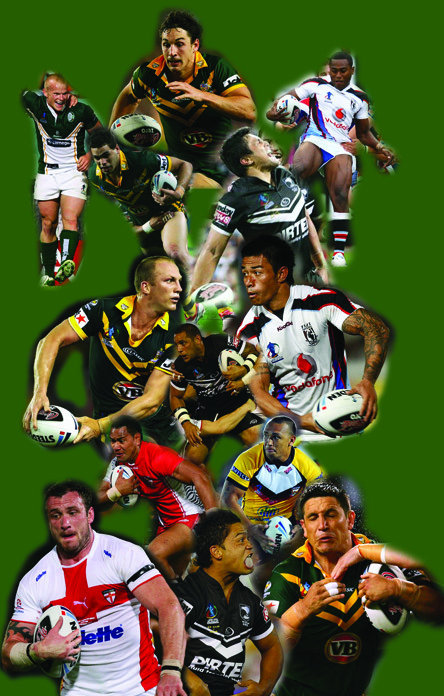 Tony Smith is a coach with a proven track record in Super League. Apart from one season where his Huddersfield side got relegated (and to be fair to Smith, they would have been relegated long before he took charge if they hadn’t been saved by bureaucracy) he’s basically succeeded with every side he’s coached. Connected to point 2, he’s one of the key forces that turned Leeds from under-achievers to the dominant force in Super League, something I imagine the Warrington board may have noticed and may relate to. Really, the big losers here appear to be the RFL, who now no longer have a Technical Director, and have an England Coach who’s not fully committed to the job and has vested interests outside of the team. It adds another layer of intrigue to the Four Nations, and I hope that for Smith’s sake he manages to get success with at least one of his two sides now. This could prove to be exactly the remedy that Warrington needed. For a long time, I thought the scoreboard wasn’t going to do Leeds justice. After having just about kept themselves in the game at half time, being behind at the interval by a 12-4 scoreline, they suddenly found themselves completely out of the game around seven minutes after restarting, as Manly hit them with one of the most intense blitzkreigs of scintillating Rugby seen in quite a while. Three tries (three very very good tries) meant that suddenly Manly were 26-4 up with half an hour to play, and a Rhinos side that had coped admirably thus far with adversity (Rob Burrow went off very early on after being laid flat out) looked like they were going to be uncharacteristically overwhelmed. It’s to Leeds’ credit that they not only pulled the scoreline back to respectable margins, but that they could possibly sneaked it had they been a little more composed and took full advantage of the switch in momentum that took place in the final quarter. It’s to Manly’s credit that they didn’t really look like letting Leeds pull it back, and most of the tries that they conceded were those of a team who knew they were going to win and had taken their foot off the gas. When Leeds looked like they might be sneaking back into it, Manly upped the intensity again and closed out the game. Indeed, the whole game had a very intense feel about it, as shown by the two all-in brawls that took place (one in each half). In the end, Manly were far more able to cope with that intensity. I suspect Leeds will look at this game as a missed opportunity on two counts. Firstly, this was the first World Club Challenge for a while where the Super League side were the ones under-strength, with Danny Buderus missing and Rob Burrow starting his first game of the season, only to get knocked out of it early on. Secondly, they will be disappointed by their horror showing just after the break. It’s hard to emphasise enough how much of a gut-punch it is to concede back-to-back tries, so to concede back-to-back-to-back tries really must have smashed Leeds’ confidence and left them with far too much to do in the final quarter. Their little burst at the end makes one wonder what the game might have been like if it was close heading into the final quarter. I kind of suspect that Manly would have won anyway. Their pack generally outmuscled a young set of Rhinos forwards (with the exception of Ali Lauitiiti whose ball-handling game in the second half did as much as anything else to drag Leeds back into it) and their backs… well, what’s to say? This is an insanely good set of backs that would not look out of place at all in the Test arena. Brett Stewart is a pure finisher, and even though his tries weren’t as spectacular as some he’s scored for the Sea Eagles before, he still showed an uncanny knack for being in the right place at the right time. With the likes of Lyon, Matai, Orford etc to back him up and indeed put chances on a plate for him, it’s a backline probably unparalleled in club rugby right now (hell, most international sides don’t have a lineup that good either) and ultimately finishing ability (from both the backs and the forwards) was what won Manly this game. 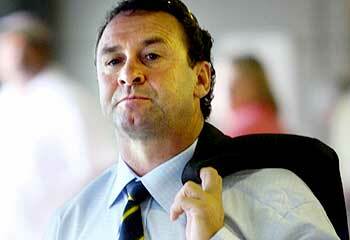 I’m pretty sure I opined earlier that it was odd that Ricky Stuart was still Kangaroos coach when they lost their first World Cup Final in 36 years, which judging by what happened to Wayne Bennett after the 2005 Tri-Nations seemed like cause for an automatic sacking, not to mention his outburst at Ashley Klein in the aftermath of the final. Turns out I was right. Ricky has done the honorable thing and fallen on his sword, and will not be reapplying for the Kangaroos job next year (well, the honorable thing would have been to not go on a tirade at the officials when your supposedly superior side was outplayed, but I digress…).